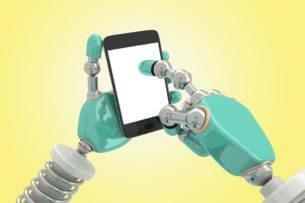 With cell phones and mobile devices making it easier than ever to stay in contact, being available by phone has become an expectation rather than the exception. This expectation can make achieving work-life balance difficult for employees who may feel pressured to answer phone calls any time of the day or night. To find out how employees are responding to the new realities of an “always-on” society, GetVoIP conducted a survey of American workers. 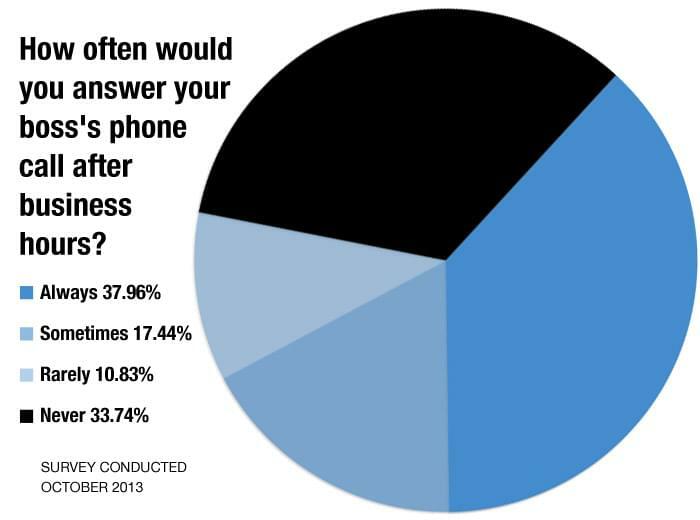 Participants answered one question: How often would you answer your boss’s phone call after business hours? Not surprisingly, income seemed to play a role in whether or not an employee feels obligated to answer the phone after hours. Workers earning more than $100,000 per year were most likely to answer their boss’s call when off the clock. Although the Department of Labor has rules for whether workers should be compensated for answering calls and emails from home, businesses and employees alike are still learning to navigate the etiquette and legalities of after-hours communication. Having guidelines in the employee handbook that clarify what is expected can help ease stress for workers who aren’t sure how to handle after-hours phone calls from upper management. And, more importantly, protect businesses from misunderstandings that could result in big lawsuits, like this one in Chicago alleging that officers are owed overtime for answering their Blackberries outside of work hours. GetVoIP surveyed 1504 U.S. workers through Google’s Consumer Survey tool on October 21, 2013 to ask the question: How often would you answer your boss’s phone call after business hours? Respondents were provided a multiple-choice form with the options: Always, Sometimes, Rarely, Never and Not Applicable. This study did not include results from respondents that selected Not Applicable, leaving a total of 1043 participants. Google gathers responses by requesting answers in exchange for access to premium content.